President Trump offered his thoughts and prayers to the victims and families of the shooting at a newspaper in Annapolis, Maryland, Thursday afternoon. 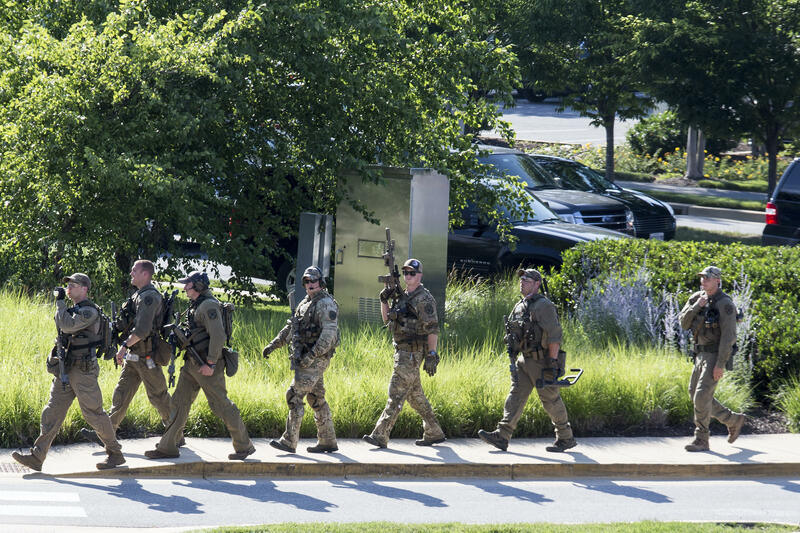 The shooting at the Capital Gazette left five people dead, and more are "gravely injured," William Krampf, acting chief of police for Anne Arundel County, told reporters Thursday. A law enforcement official tells CBS News the suspect has been identified as Jarrod Ramos, 38, of Laurel, Maryland. Mr. Trump, who was in Wisconsin Thursday for meetings and a speech, was briefed on the shooting before leaving the state, he said. "Prior to departing Wisconsin, I was briefed on the shooting at Capital Gazette in Annapolis, Maryland," Mr. Trump tweeted. "My thoughts and prayers are with the victims and their families. Thank you to all of the First Responders who are currently on the scene." Vice President Mike Pence, who is in Guatemala, said he and his wife, Karen Pence, are praying for the victims and their families as well. "We commend the swift action by law enforcement and all the first responders on the scene," he wrote. Just arrived in Guatemala. We are monitoring the horrific shooting at the Capital Gazette in Annapolis. Karen & I are praying for the victims and their families. We commend the swift action by law enforcement and all the first responders on the scene. First lady Melania Trump also expressed her sorrow. Today's violence at the Capital Gazette was tragic & evil. My heart goes out to all affected in this brutal & senseless attack, & I send thoughts & prayers for comfort to the friends, family & colleagues of those killed & injured.